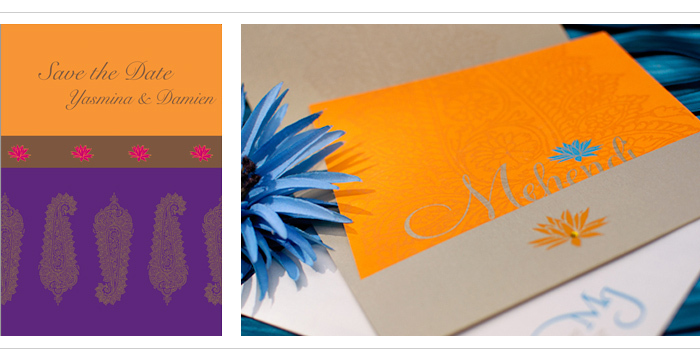 Ever wondered why you keep seeing the same motifs and symbols on Indian wedding stationery? They’re not just pretty designs, some represent the physical and spiritual union of the couple while others are auspicious and are thought to bring luck. Ganesh, the elephant headed Indian God, is one of the most important and most popular symbols. It’s believed he can remove any obstacles that may lie in wait ahead of the wedding, which is why there’s pujas and blessings dedicated to him at the start of the wedding. 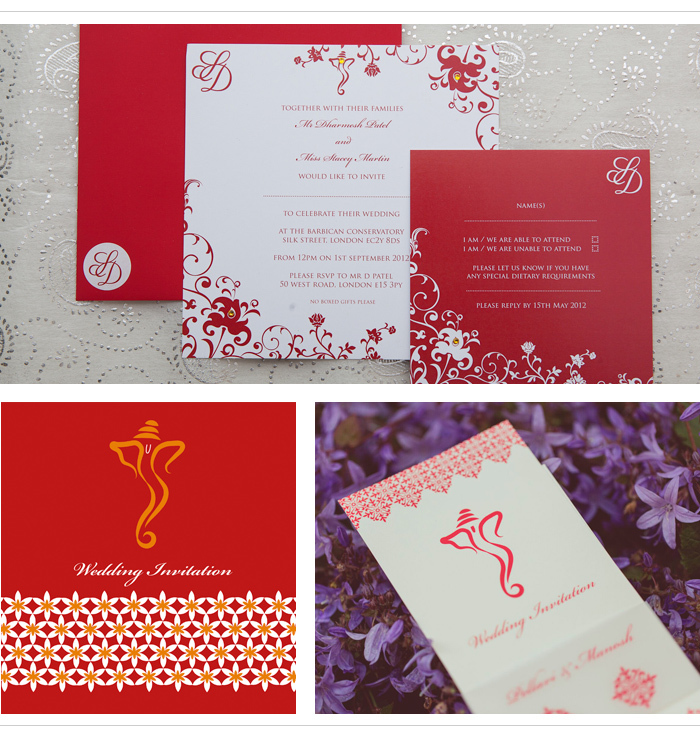 Since a wedding invitation marks the announcement of the wedding, having Ganesh on your stationery signifies his protection during the wedding and onwards to married life. The image can in whatever form you like, traditional, abstract or a stylised version for a modern look. Om, for those not in the know, is one of the most ancient and auspicious Indian symbols and is recognised throughout the world. It’s thought that Om is the first sound of the Universe, it’s one of the most powerful mantras and represents the three major Hindu Gods; Brahma, Vishnu and Shiva. The symbol represents peace, harmony and oneness – everything you’d want for your Big Day and beyond! A symbol of beauty, fertility, prosperity and purity, the lotus plays a pivotal role inseveral religions, including Hinduism and Buddhism. As an aquatic plant growing in mud, the lotus’ stem rises to the surface of the water and its flowers rise well above the water, signifying the rise of man from materialism to enlightenment. The Goddess Lakshmi, patron of wealth and abundance, is frequently depicted sitting on a fully opened lotus flower with a lotus bloom in her right hand. Asian culture places huge importance on elephants - they appear in various religious and cultural contexts throughout Asia. 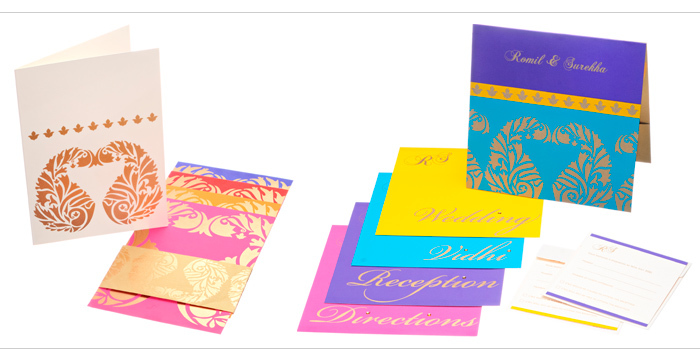 Associated with qualities of strength, steadfastness, wisdom and prosperity, they’re popular on wedding stationery thanks to their majestic and magnificent look. Traditionally, they were used in wedding processions, painted and handsomely decorated with beautiful jewellery and fabrics. Elephants are present in Hindu mythology and statues of them abound in temples. Elephantsalso have a deep association with the Hindu God Ganesh, who had an elephanthead. At Ananya, elephant motifs are a popular choice with multicultural couples. This dazzlingly beautiful bird is associated with the divine, including Lord Krishna, who wore peacock feathers in his crown. The peacock is also a symbol of Kwan-Yin, the Bodhisattva of love and compassion. It’s thought peacocks can eat poisonous plants without being affected by them. On wedding invites this translates a representation of the ability of the couple to face any challenges encountered in their married life. 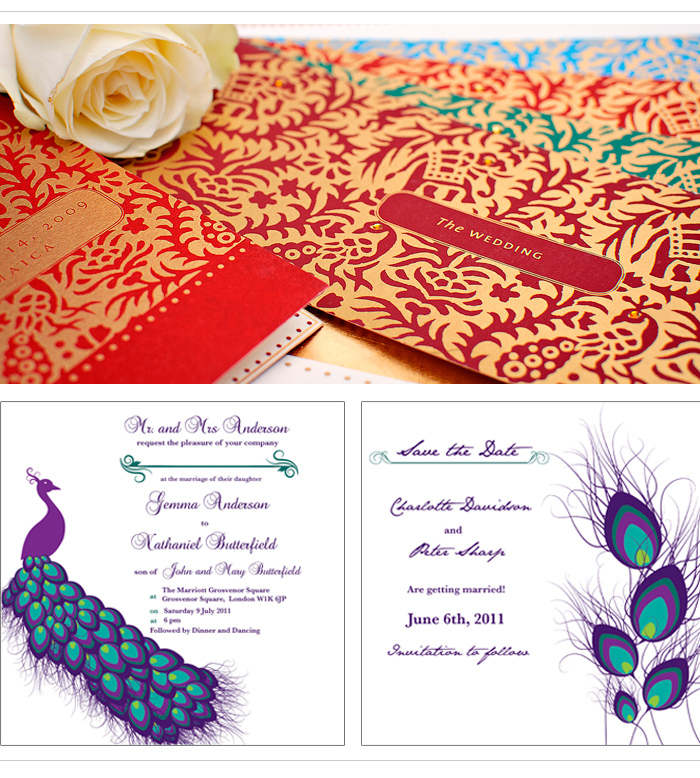 Paisley really is a very versatile motif and lends itself brilliantly to various wedding stationery designs. The paisley motif is an elegant design that’s rich in spiritual significance. In India, paisley signifies the time of harvest and prosperity. In Oriental traditions, the two paisleys represent the yin-yang symbol, a sign of equilibrium and balance. The flow of the two polar energies, Yin (Female) and Yang (Male), seek balance in the natural flow of the universe, constantly replacing each other and eventually, becoming each other. 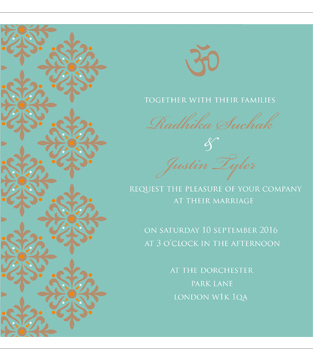 So paisley is a fitting motif to symbolise the union of two individuals in a marriage, and works particularly well in stationery for Ananya’s multicultural clients. 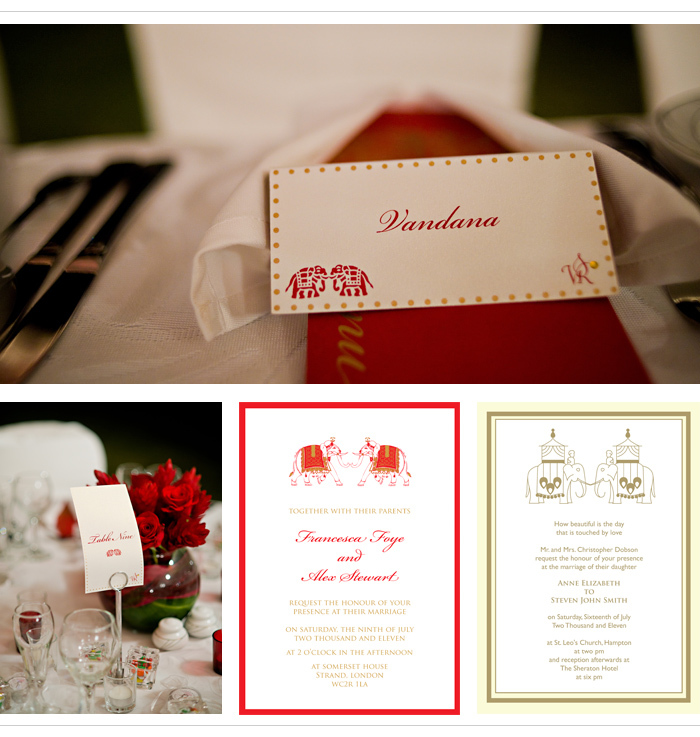 To celebrate a decade of stylish stationery, Ananya Cards are offering Khush Wedding readers the opportunity to save 10% on their bespoke stationery orders. To qualify,simply email info@ananyacards.com mentioning Khush Wedding at the time of enquiry/booking with promo code – ANANYA10 and the discount will be applied. This offer is valid from 1st April – 30thSeptember 2016. Please contact Vaishali Shah at Ananya for more information.